The aim of recycling is to return the raw materials, used for the product at end of life back into the production process and thus save both resources and avoid waste. Thus, the circular economy is in contrast to the prevailing economic Linear Economy (Throw-away Economy), in which a large part of the products after their use of are thrown in landfills or incinerated. GOTS is one of the strictest and most well-known label for ecological clothes. Since 2008, it identifies products, whose entire production is in accordance with certain environmental and social standards. 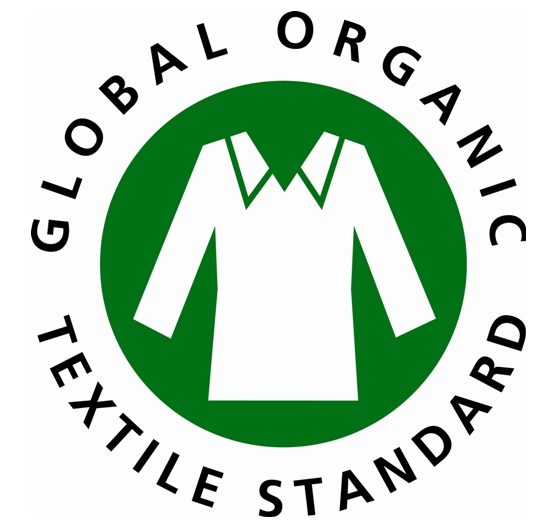 GOTS certified clothing must be made of 90 percent natural fibers, at least 70 percent organic. In addition, social and labor standards must be respected. These include: no child or forced labor, compliance with prevailing local minimum wages, acceptable working conditions and health and safety measures. The International Association Natural Textile Industry e.V. 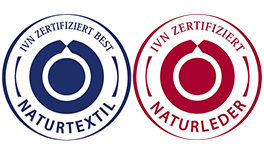 (IVN) is a professional association, which have joined since 1989 companies from nature textile production (textiles and leather) (among others hessnatur, Alnatura), have the highest standards of environmental protection, social responsibility, product quality and consumer protection. The IVN awards both quality marks IVN Naturtextil Best and IVN Natural Leather, whose guidelines document the highest achievable ecological and social standards. As part of the IVN certification all companies, involved in the production chain are tested by independent institutes. Under the prevailing Linear Economy (also throw-away Economy) lands large parts of its production in landfills or incinerated. The raw materials are not recycled back into the production process at the end of its life. Thus, the Linear Economy is in direct contrast to the Circular Economy, in which the raw materials used for the product, returned at the end of its life in the production process and saved in this way both resources and waste is avoided. About 25 percent of the insecticides used worldwide and eleven percent of the pesticides alone, accounts for cotton production. The water consumption is extremely high with one cubic meter of water per kilogram of cotton fibers. 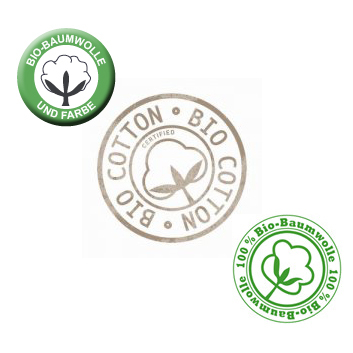 Numerous seals and certificates have indeed made the production of organic cotton is not necessarily transparent. Currently, however, the production of organic cotton ensures, that there is no child labor in the respective organic plantations, that will dispense the insignificant use of pesticides and that the Organic Cotton Farmers get fair prices. Unfortunately, the proportion of organic cotton (organic cotton) with 1 to 2 percent of global cotton production is still negligible (current numbers on organicexchange.org). Products, which have been awarded the PETA-Approved vegan logo, are 100 percent vega. Leather, wool, silk and natural fur are just as taboo as small parts that have animal ingredients in the preparation. Accordingly, shoe glue of bone glue or pearl buttons are prohibited. Unlike many other seals that seal is free. Because of this, even small, new labels, that meet the requirements, use this seal. Shoes, bags, belts, car seats: If you want to avoid animal leather, there is a new vegan alternative with pineapple leather. The Spanish designer Carmen Hijosa has developed a method with its Startup "Pineapple Anam" that pineapple leaves - left over from the harvest as a waste product - converts to a non-woven fabric, which looks similar to and as stable as animal leather. Small designers like Maravilla Bags (Mallorca) have already pineapple leather bags in their range. Puma and Camper experiments with prototypes. During the recycling waste products are used again, or returned to their starting materials for secondary materials. Secondary materials are raw materials which are obtained through recycling of waste material. Resourceful eco-fashion labels have discovered disused products for themselves and make by recycling the "disused" fiber great new fashion (as MUD jeans). As a result, among other things the resource-intensive cotton production is reduced and the production of polyester can be reduced from crude oil. Salmon leather (tanned salmon skin) is a byproduct of fishing, which can be accessed for the eco-fashion for their production (among others accessories such as bags, shoes and belts), should be without it reared, caught or killed a salmon. Again and again you hear the terms Tencel and Lyocell in connection with sustainable fashion. Anyone who has already worn a Tencel garment in his hand or even on the body knows what a fantastic material is. But what is Tencel actually? Tencel is a cellulose fiber made from natural raw materials. Cellulose is obtained from wood - in this case from Asian or South American eucalyptus wood from sustainable forestry. The fiber is produced in a closed circuit and has been awarded the "European Award for the Environment" by the European Union. In addition to the extremely high wearing comfort and the versatile application for bed linen, home textiles and more, the sustainable aspects that make Tencel the future fiber are first and foremost, the solvents required for the manufacturing process are reused almost 100 percent. On the other hand, a fraction of the amount of water is required in the production process, as is the case with the production of conventional chemical fibers. Another plus: in contrast to e.g. Cotton, no artificial irrigation and no use of pesticides is necessary for the cultivation of eucalyptus. And Tencel is biodegradable. Tencel is offered by the Austrian Lenzing AG. The non-profit Fair Wear Foundation (FWF) has set itself the goal of improving the working conditions in the textile industry. 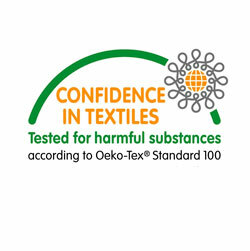 The FWF focuses on the time, when the substances are processed to textile products (clothing). The member companies are regularly checked and evaluated in the implementation of the requirement catalog of the FWF. These controls also take place at the production sites. In addition, the Fair Wear Foundation developed approaches by which human rights can be better enforced in the delivery process.